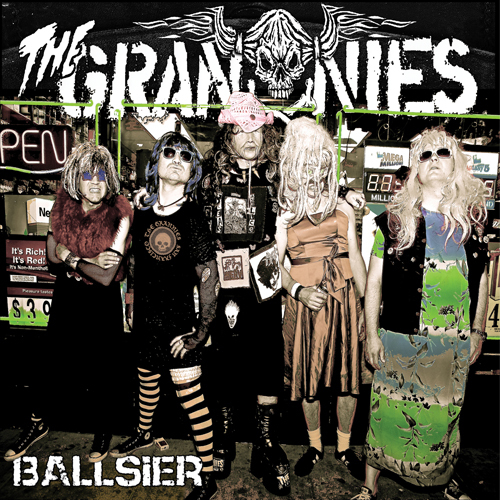 Saustex is pleased to unleash “Ballsier”, the latest full length album from Bay Area cross-dressing, geriatric superstars The Grannies, out January 20th (CD) and February 17th (Vinyl). The new set picks up where 2011’s “For Those About To Forget To Rock” left off with an arthritic and defiant middle finger raised high above a squalid rawk’n’roll soundtrack. Lead singer Wizard Sleeves wails hard won lessons about dodgy friends, gentrification and love to the chaos while producer Jack Endino (Nirvana, The Gits, High On Fire) aptly synthesizes the band’s well-fermented bile and grungy, virulent twin-guitar attack on tunes like “Soviet”, “Wade in Bloody Water” and “Modern Medicine”. The CD edition of the album features remixes of “The Corner of F*ck and You” by Ben Addison (of UK acid jazz legends Corduroy) and “Glittersh*tter” by German producer, DJ and sound designer Matt Flores. Tour dates in the Bay and on the East Coast are listed below...the spring/summer will see them head for Texas and Europe. 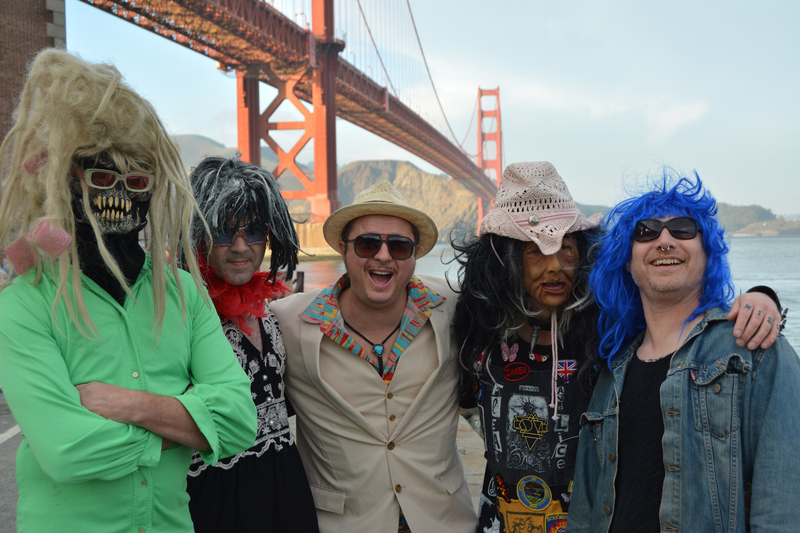 The Grannies story began on a hot July night in 1999, as five grown men dressed as old ladies crossed 11th St in San Francisco and hit the stage at the Paradise Lounge. 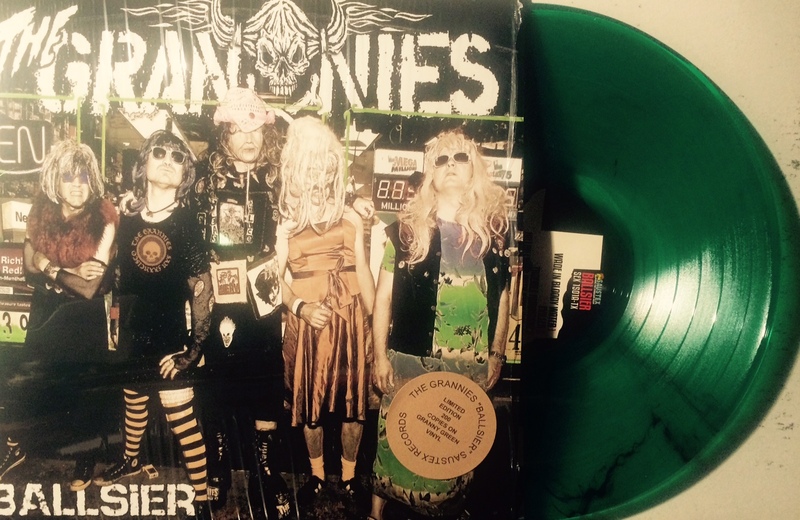 15 years, 8 Jack Endino-produced albums, 3 European tours, more than a few beer soaked house dresses, some delighted fans, some not-so delighted soundmen, an 8’ x 5’ oil painting by German artist Frank Bauer (that sold in Cologne for $25,000), some good press, some bad press; and these self-proclaimed “Masters of Quality Edutainment” are still at it. Still. Saustex label boss Jeff Smith has dubbed them “The hardest working ladymen in rock’n’roll”. 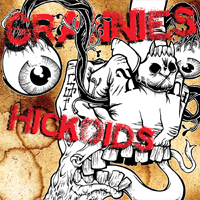 Featuring former members of Ain’t (SF), Black Furies (SF), Hollow Heyday (Boston) and Hullabaloo(Boston) The Grannies have released albums on their Dead Teenager and Wondertaker labels and now unleash their full-length debut for Saustex. “Mixing the frantic three chord riff rock of G.B.H. with the in-your-face danger of the Dwarves and add in Divine's fashion sense for good measure -- and voila, you now have the ingredients for a Grannies' cocktail.” says Greg Prato of All Music Guide. These five are mild-mannered career and family men by day, occupying jobs ranging taxi driver to architect that allow them to don nothing but the latest in thrift store fashion on stage, “looking like a dystopian nightmare vision of glam”, notes Ken Shimamoto of The Stash Dauber. The San Francisco Bay Guardian says “this bunch of moldy old punk rockers, whose history consists chiefly of dressing up like old ladies, getting f*cked up and f*cking things up while decent folk look on in horror are a definite must see.” and Musicdownload was prompted to this bit of pith: “The band members look like Nick Nolte's mug shot if he had been dressed as the lady from ‘Mama's Family’...” But we’re getting too tangled up in visuals because it’s really the music that matters, right?